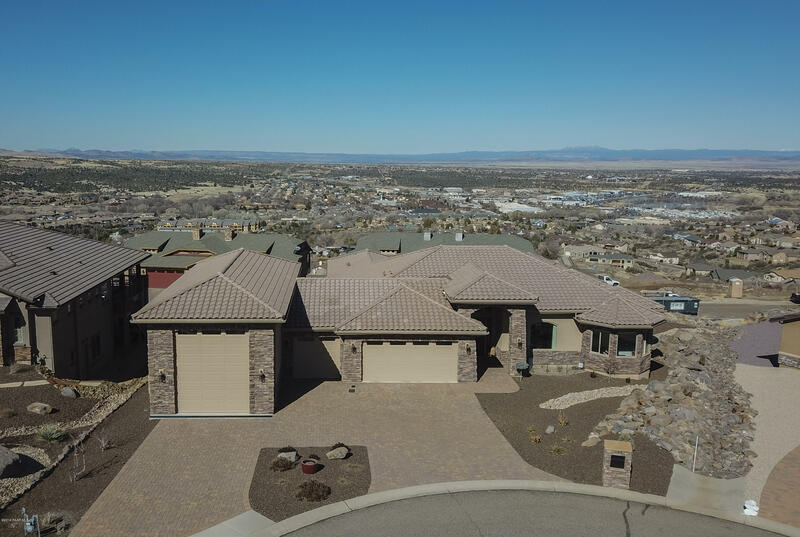 All Hilltop Estates homes currently listed for sale in Prescott as of 04/22/2019 are shown below. You can change the search criteria at any time by pressing the 'Change Search' button below. "GREAT RV HOME! Beautiful custom single level home with 4 BD, 3 BA, plus office w/built desk, cabinets & book shelves. Incredible 3 car garage, plus 18' x 50' RV Garage with full hookups including 50 AMP outlet and all with epoxy floor surface. All on a .41 acre view lot. Gourmet kitchen w/granite counters, SS appliances, walk-in pantry and Knotty Alder cabinetry. All bathrooms and laundry room have granite counter tops. Surround sound speakers in many rooms. Large formal dining room and has ove"